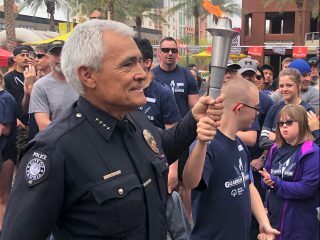 PHOENIX — Steve Dudley sometimes catches himself mumbling that familiar tongue-in-cheek line when he opens his refrigerator door at home. Dudley and dozens of other U-Haul Team Members helped pack more than 900 emergency food boxes Sept. 19 during the Company’s volunteer efforts at St. Mary’s Food Bank. The day served as a reminder to keep things in perspective and recognize the difference that philanthropic hearts can make in the lives of others. 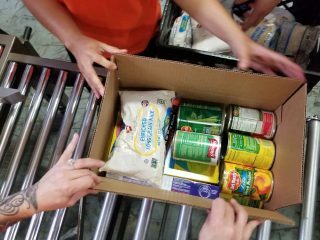 Packing food boxes was just one of many highlights marking the collaborative charity efforts of U-Haul and St. Mary’s, longtime partners that are celebrating golden anniversaries. 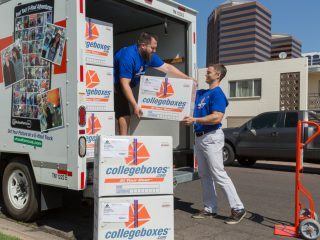 Both organizations have been headquartered in Phoenix since 1967, when St. Mary’s started and U-Haul relocated operations from Portland. 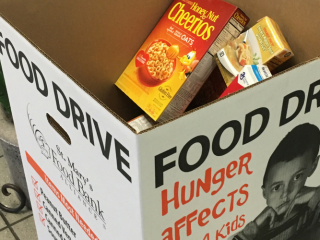 U-Haul Team Members also donated 15,581 pounds of food (via canned goods and cash) during the Company’s annual food drive for St. Mary’s. The donations were delivered in three U-Haul trucks to St. Mary’s central warehouse on N. 31st Avenue just before the volunteer event. That translates to 18,697 meals to feed Arizona’s hungry families. 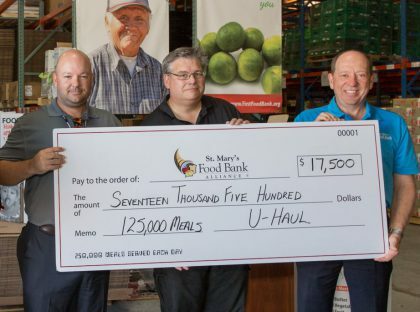 In addition, U-Haul presented St. Mary’s with a check for $17,500, which renews the Company’s Food Drive Box title sponsorship. The contribution also funded another 50,000 meals to feed the hungry in honor of St. Mary’s 50 years of charitable service in the Valley. 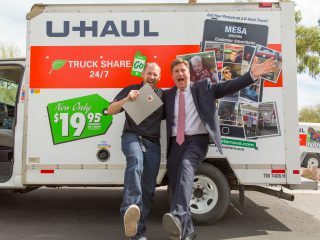 “Something personal that impacted me in regards to this day was that it really opened my eyes to how much I took for granted and how little those around me may have,” stated U-Haul volunteer Kobe Jean, a WebSelfStorage support technician. St. Mary’s representatives Tom Kertis (President and CEO), Lisa Notaro (Chief Development and Community Relations Officer) and Jerry Brown (Director of Public Relations) addressed the U-Haul volunteers before the check presentation, praising the Company’s sustained willingness to meet a pressing need in the community. The new bankers boxes that St. Mary’s will use for food collections. 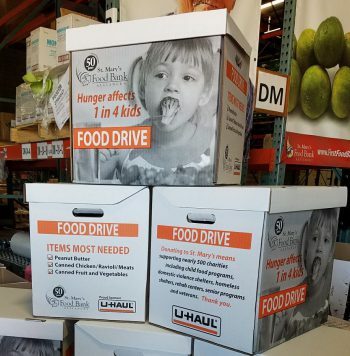 The new smaller, sturdier and easily transportable St. Mary’s Food Drive Boxes were on display, allowing U-Haul to see how its sponsorship is being utilized. 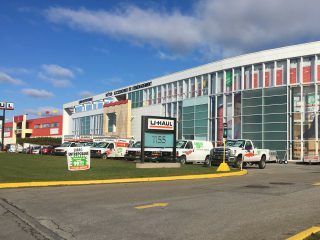 “Having spent much of my career dealing with our retail U-Haul boxes, I can say that I was genuinely impressed by the new design,” Dudley said. 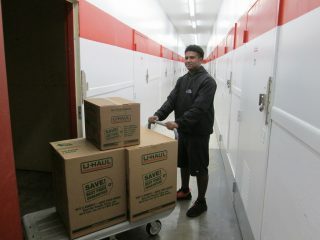 U-Haul would like to thank its volunteers and everyone who donated to the food drive. 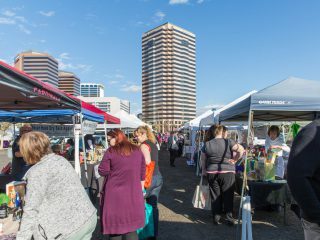 That includes Team Members at the corporate towers in Phoenix, the U-Haul Technical Center in Tempe, and the Glendale Manufacturing Company. Thanks also goes to the U-Haul Financial Analysis team, which counted the donation totals and provided analysis of the results. It won’t be long until St. Mary’s push for Thanksgiving turkeys. Check out U-Haul Company’s involvement in aiding this cause last year. This website is owned and operated by Web Team Associates, Inc. 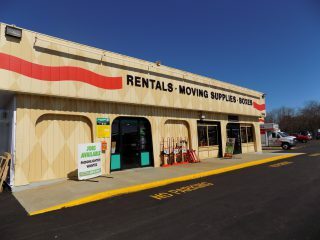 Copyright © 2019 U-Haul International, Inc. All rights reserved. U-Haul International, Inc's trademarks and copyrights are used under license by Web Team Associates, Inc.